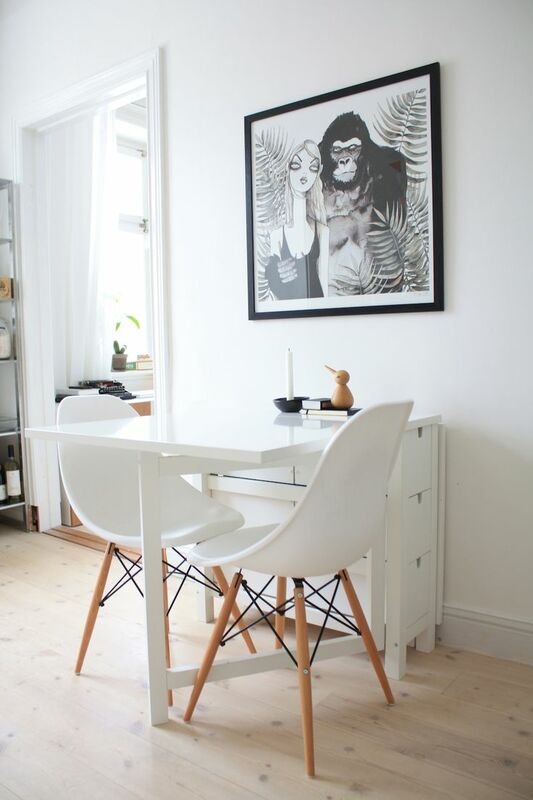 Having a small dining room doesn’t mean that you can’t have it nice. 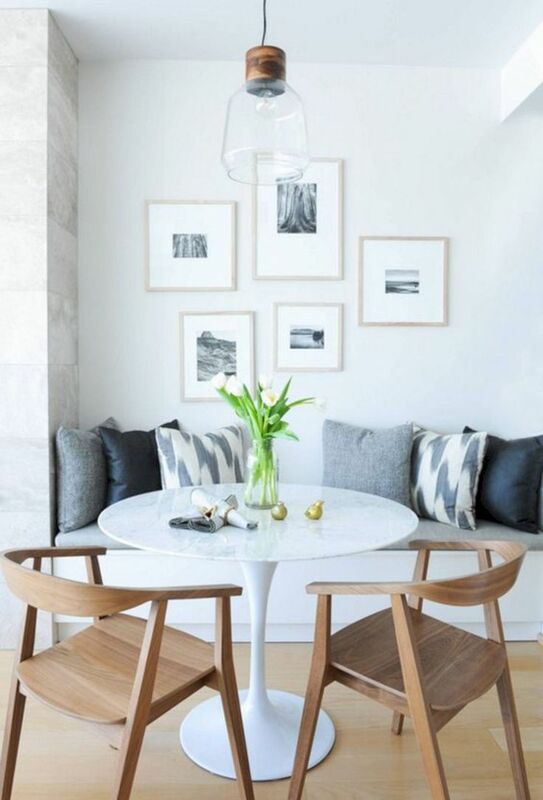 You might think that you don’t have enough space for some chic decoration or to even decorate the whole room according to a certain interior design – but, the truth is, there are many ways to make your small dining room to be one of the most beautiful in the house! No matter if you want it to be rustic, Scandinavian or boho, you can have it and the size of the dining room won’t stop you. Below you can find ten amazing ideas we chose for you. Each of these is inspiring and we hope you’re going to be fascinated just as much as we are! Visiting coffee shops all the time isn’t the best idea because it can damage our money situation, but if you like the idea of having your very own dining room that will remind you of a coffee shop you like, then know that you can have exactly the same warm vibes! 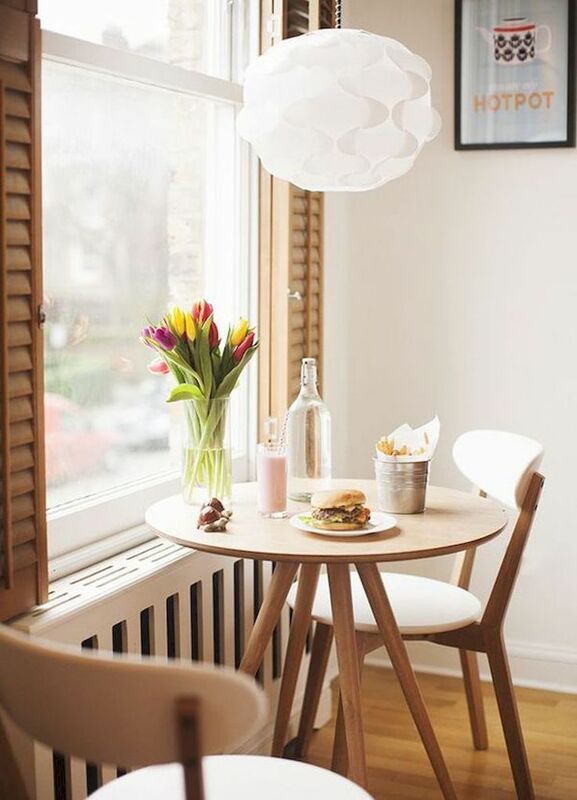 It doesn’t take a lot – in fact, just get your table and chairs next to the window and decorate it the way it will make you feel as if you’re in your favorite coffee bar or restaurant. You want the boho style, but without too many elements in the room – then, this is the option to consider. Focus on the minimalism and just get the things you really need and few for decoration. The decoration is where the boho comes in hand. 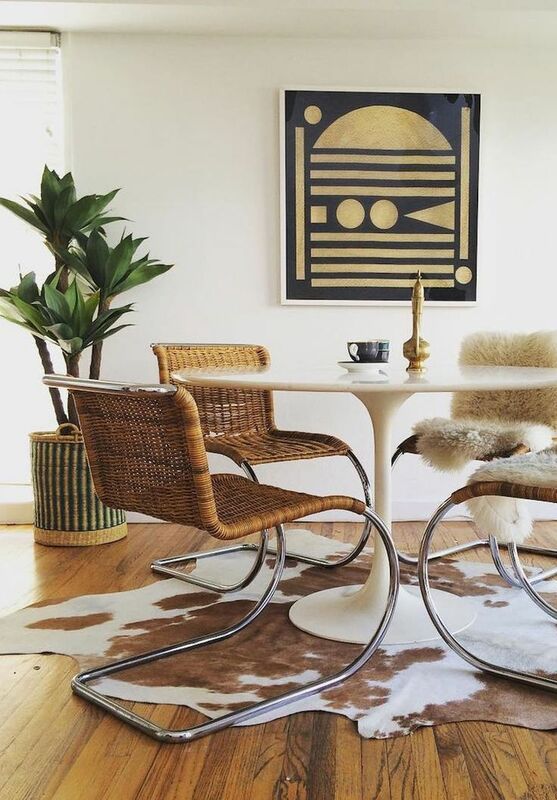 There are many ways to achieve this style, for example, you can buy a rug with some interesting pattern and some cool table plant. Just keep things simple in a boho way. There are plenty of reasons for why you should choose white walls including white interior and we’re going to name just a few of them. White looks pure and clean, while at the same time it makes the room appear bigger and it allows you to bring any other color you like, without it to make things look bad. A white-colored interior is not only a safe choice, but it is also simple and elegant. Maybe you’re not into boho or rustic or minimalism. 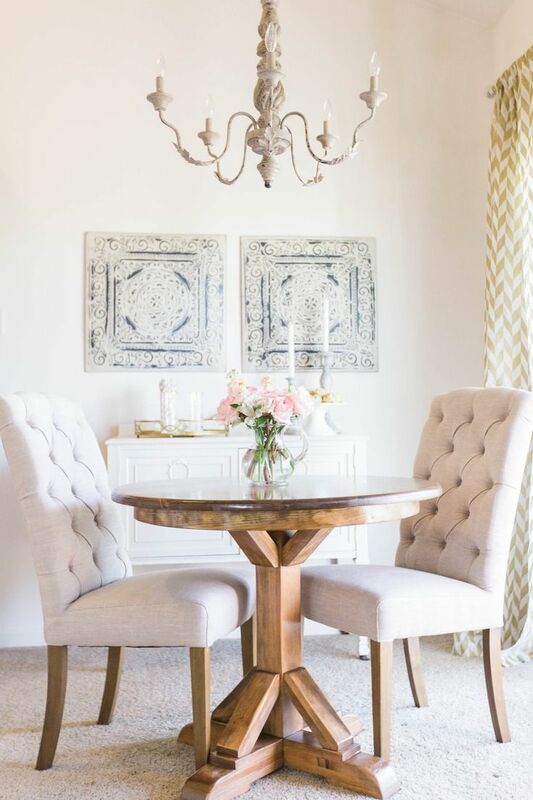 Maybe what you crave is a very fabulous dining room for two! You can either buy a fabulous furniture that would fit the look, or you can try to achieve the look with DIY projects. It can be fun and less expensive, so it’s up to you to choose your options. However it is, this sure looks like it’s going to be a very romantic place! 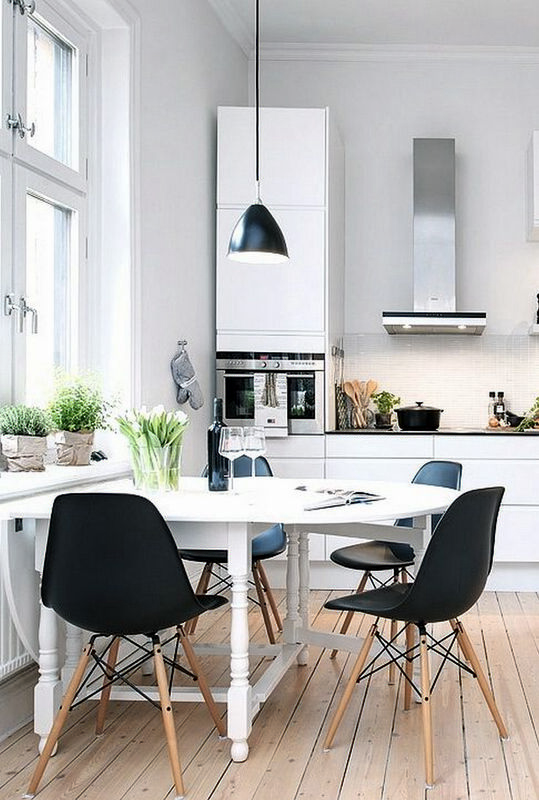 The Scandinavian style is one of the most popular right now and there’s a reason for that. It’s simple, yet so elegant! It’s practical, functional and it can make your room appear brighter and bigger! Just follow the principles of this interior design and you will easily achieve it. For example, use brighter, even neutral colors; wood as your floor material and add some plants too! This isn’t your typical rustic interior, but it’s rather a modernized version of it, with a touch of minimalism. The wooden table and the bookshelf give away those rustic, vintage vibes that warm our hearts and remind us of how sweet our home is! To achieve this look for your room, you don’t need to spend a lot, but instead to spend wisely. 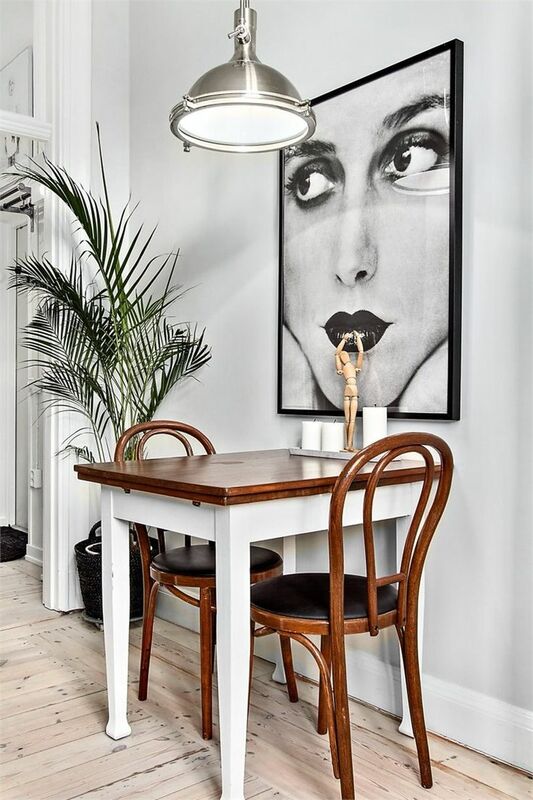 You love art so much that you simply can’t imagine a room without it, even if it means a tiny dining room that contains just a small table and chairs for two. This can be a very budget-friendly idea because you don’t need to buy an expensive art (unless you can afford it of course!). It can be a framed photography, a DIY art or maybe an old art you had since forever. 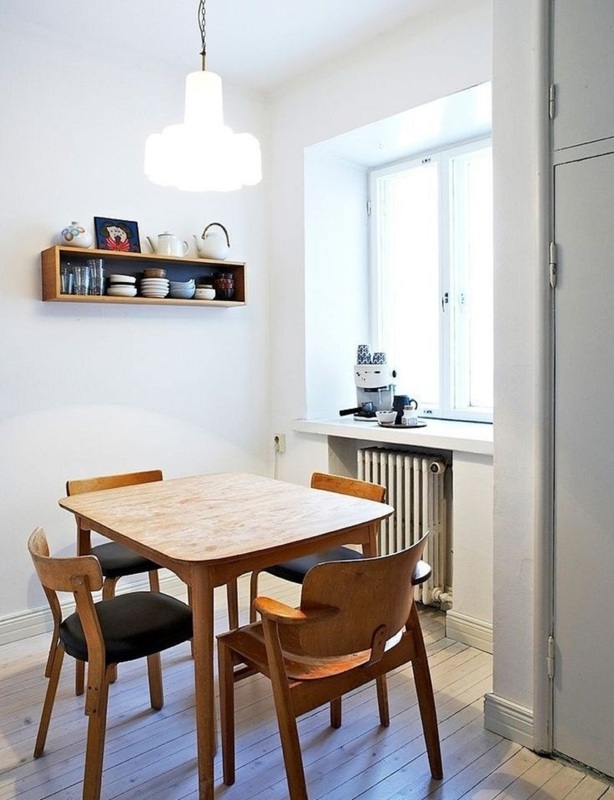 With cozy decoration such as these, your dining room won’t be only the place where you only eat. You can relax here and it can be your very own place to do your work chores! So, to achieve this you need to get the furniture and the decorations that will make you feel cozy and comfortable the most. It can be soft chairs or maybe plenty of pillows, the choice is yours. The industrial interior is definitely very chic – it has a certain charm in it. Most of the time, this includes brick wall and high ceilings. Feel free to decorate the space as you wish, but go for more minimalist or even vintage decoration. 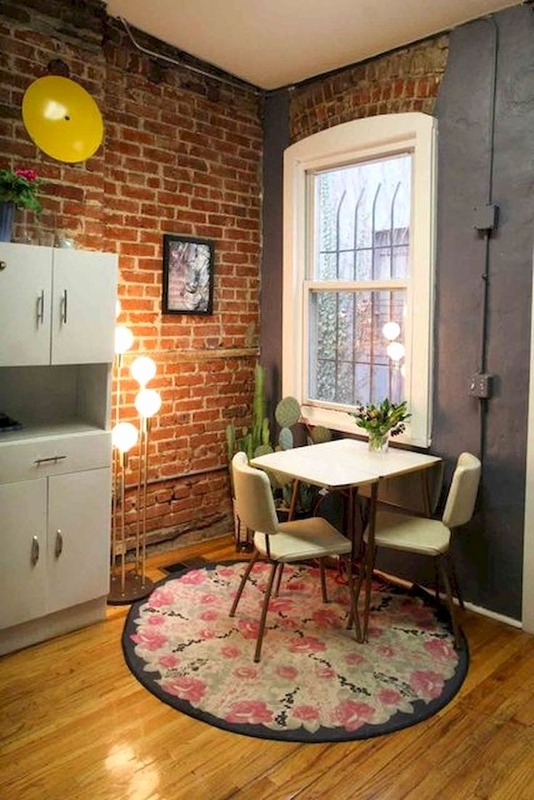 After all, it should be cozy no matter how small of a dining room it is! Modern and chic, isn’t this something we all crave? Get yourself quality table and chairs and the rest is up to the decoration you’re going to choose. 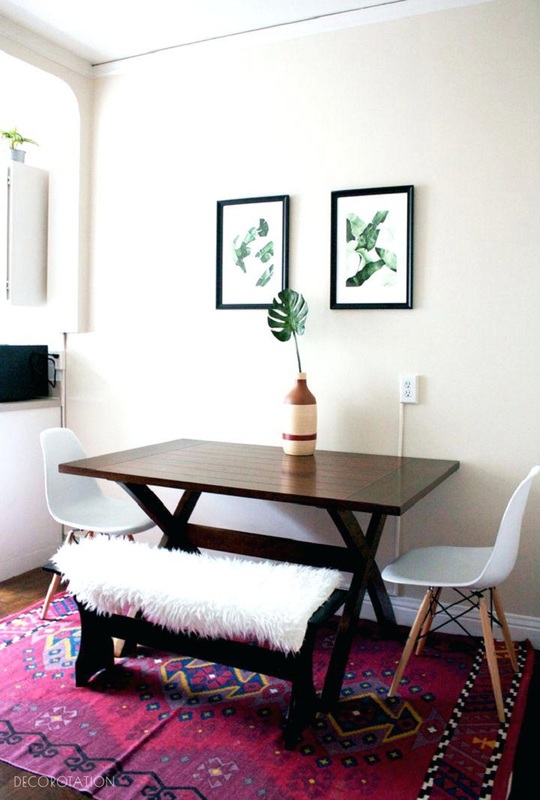 A nice rug, a big house plant, and some fancy art are the way to go here. It might mean spending a little bit more, but the investment is all worth it, right?